The âMadeleineâ plan is a two story, four bed and three and half bath home with over 2200 sq feet. Enter this home from the relaxing front porch into the foyer which leads you to the open kitchen and living area. The spacious living area has a gas vent less fireplace, wood stair case with iron railing and views to the courtyard. Formal dining area is separated from the living room by an exposed whitewashed cypress beam. 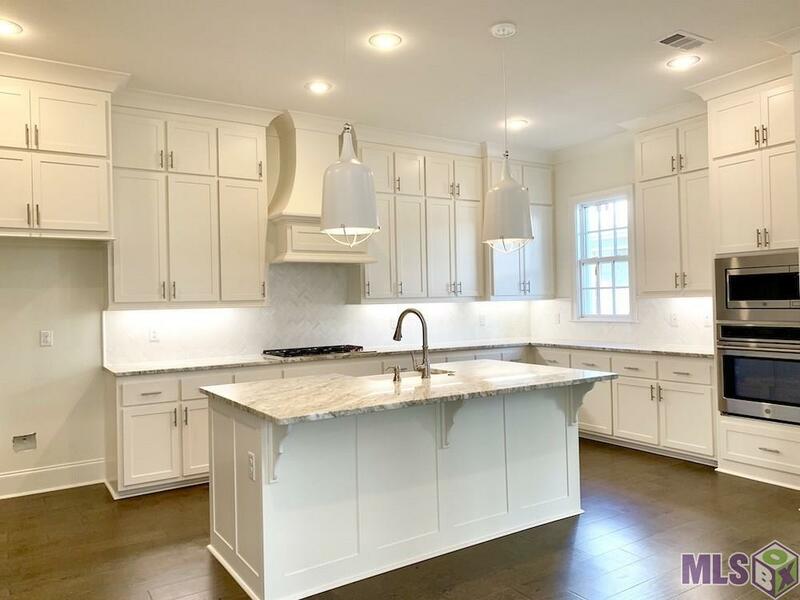 The gourmet kitchen features a large center island and custom painted cabinets with extended uppers and under cabinet lighting, stainless appliance package with a WOLF cook top, herringbone backsplash, quartz counter surfaces and satin nickel plumbing. The master suite is located downstairs and has a spa like bath with a separate tub and custom built shower, dual vanities and a walk in closet. Upstairs features three spacious beds, one with it's own bath and a jack and jill bathroom for bedrooms two and four to share. The home will have a painted brick exterior and a lovely outdoor space with an open courtyard that will be landscaped and fenced. Home will be complete end of June 2019. Buyer can pick/approve colors and options for a limited period of time. Other lots and plans available to view. Seller provides 2-10 warranty and pays up to $4,000 towards buyers' closing costs and or pre-paids with preferred partners. *Pictures are not of actual home but are of the same floor plan.